I am not a vegetarian, nor will I probably ever be one. But over the last two years, I have been cutting down on my meat consumption (reasons: health, money, the negative societal and environmental impacts of the meat industry, etc.) and in that time, I’ve discovered that canned chickpeas are amazingly versatile and tasty in just about everything I’ve made with them. This recipe is no exception — these chickpea cakes have the consistency of a crab cake (not as dense as a burger) and have a nice Indian spice flavor which pairs well with the cucumber sauce. 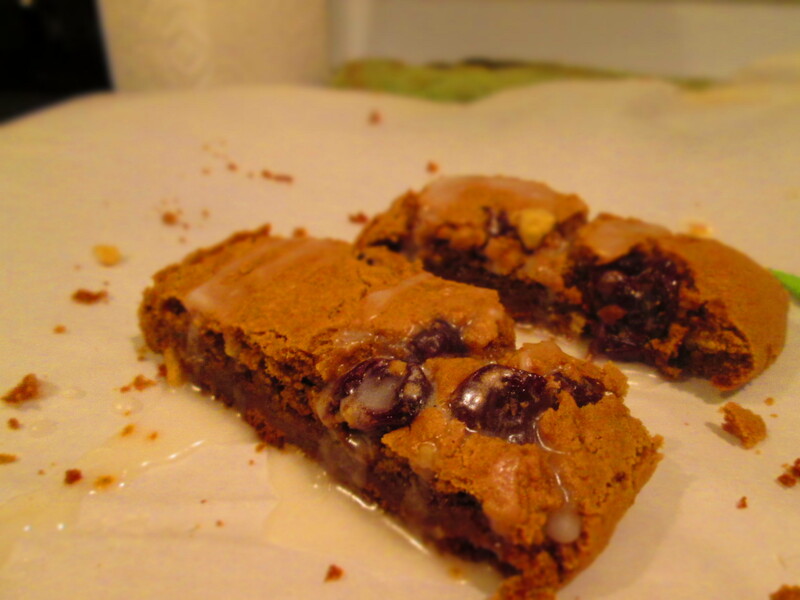 This is again an adapted recipe from Test Kitchens’ The Complete Cooking for Two Cookbook. In this case, I think their recipe is really a ‘cooking for one’ serving size. This recipe is brought to you by me finishing my first year of grad school and finally A) having free time to cook real things and B) remembering that this blog is run by more than just my brother. 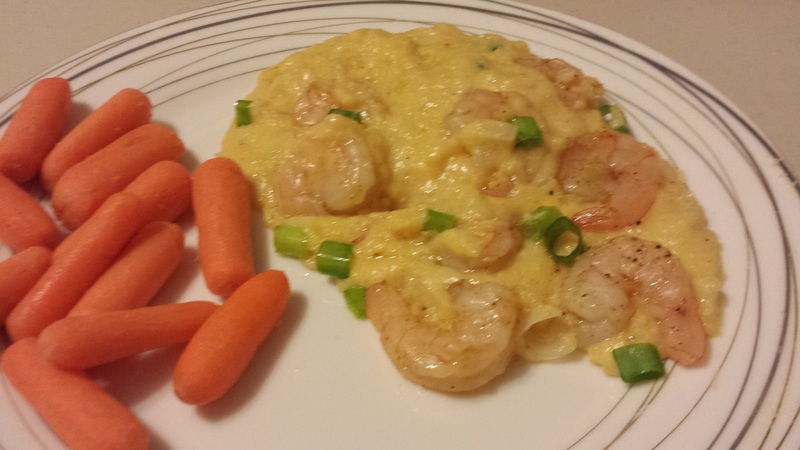 One of my goals for year 2 is to try to be better about posting recipes, so without further ado, Shrimps and Grits from Test Kitchen’s ‘Complete Cooking for Two’ (which is a godsend cookbook for anyone living on their own who’s tired of having to figure out how to resize recipes meant for 8 people. 1/4 of a egg is real hard to measure.) These were legitimately delicious grits, though I am admittedly a Yankee and not qualified to comment on how authentic Southern they are. 1. Set oven to 375 degrees. Toss shrimp with oil, garlic, cayenne, salt and pepper in a bowl and the refrigerate while you cook the grits. 2. Melt butter in a large oven safe pan (I used cast iron). Cook minced onions over medium heat until soft (about 5 minutes). 3. Stir in water, milk or cream, hot sauce, 1/2 teaspoon salt, 1/4 teaspoon pepper, and bring to a boil. Note: I used sriracha as the hot sauce since that’s what I had in the house and I don’t think it changed the flavor much not to use classic hot sauce. 4. Whisk in grits, reduce the heat to low and cook until creamy, for about 5-7 minutes. Stir frequently. 5. Remove from heat and fold in the cheese. 6. 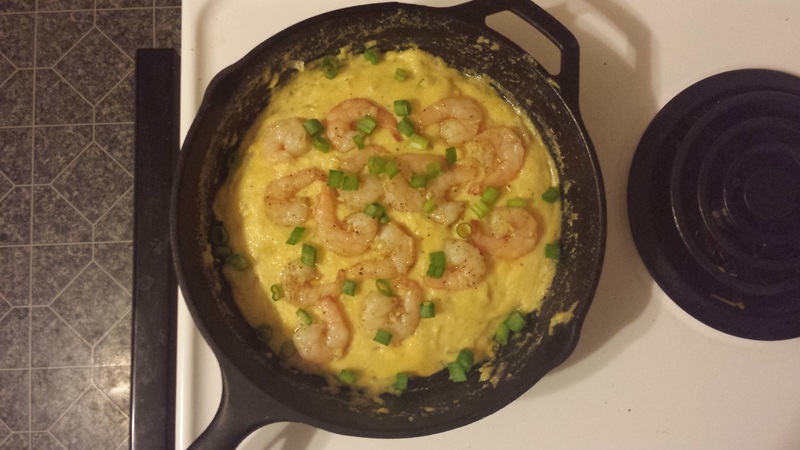 Lay the shrimp on top of the grits, spiralling out from the center of the pan. Place in the oven and cook until the shrimp are pink and opaque, about 5 minutes. 7. Sprinkle witb scallions and serve. Next in the series of things Joanna made for holiday parties that are now only marginally seasonally appropriate: Farmer’s Cheese for my friend’s Hannukah party. He wanted to make (along with his latkes) syrniki, which are essentially slightly sweet fried cheese pancakes from Ukraine. But to do it properly, he needed homemade farmer’s cheese and was unfortunately going out of town the weekend before. But never fear, I was willing to try my hand at making cheese from scratch — and only moderately worried that I would kill everyone with rancid cheese. And it worked! Color me shocked. This is a surprisingly simple recipe (which I got from a blog called Natasha’s Kitchen), though you do need to be willing to be able to devote some time to it every 12 hours for about 3 days. The cheese by itself is very, very mild and doesn’t have that much flavor, but was delicious in the pancakes (which I cannot take credit for — see this recipe if you want to make them). The cheese would also be good spread on toast or in a leafy green salad. Oh, hello. Did you think I died? Does writing personal statements and attempting a personal life count as dying? No? Well, I didn’t die and my camera is full of photos that I’ve taken of my food and not blogged about. Now that Edward has shown me up by making bagels for New Years, I guess I should finally post at least one of the holiday cookie recipes I made this year. Since 4 out of the 5 cookies I made this year are technically recipes stolen from my mother (hi Mom), I decided to go with these hermit cookies which are adapted from a cookbook gifted to me sophomore year by the very bestest of roommates (hi Sydni). The cookbook is called Big Fat Cookies By Elinor Klivans and the original was called Spiced Raisin Walnut Hermits. As you may be able to tell by the change in title, I made some tweaks to the recipe. Sneak preview of the finished product. Click-ity that read more link. I’m really behind on posting recipes on here — I have 2 or 3 recipes that turned out well and I took photos that are just sitting in my camera waiting for me to get around to uploading them. I’ll hold off on posting some of the older ones and instead post another installment in the “Joanna cooks vegetarian things lawlz” series. Recipes to look forward to include: Thai Red Curry with Shrimp, Peppers, and Broccoli; Open Face Roasted Vegetable and Cheese Sandwiches with avocado garlic mayonnaise; Lentil and Quinoa Vegan “Chili”.